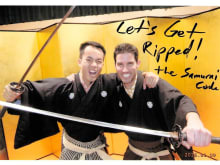 Kembu (sword performance), one of many Japanese traditional arts, demonstrates the culture of the samurai, a warrior class that ruled Japan for 700 years. Kembu masters who work to keep the spirit of samurai culture alive perform this 1-hour stage show at Samurai Kembu Theater. Satisfy your intellectual curiosity with in-depth talks, and enjoy both traditional and new-style Kembu performances based on historical tales from the feudal period. 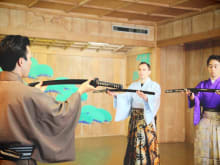 Learn about the etiquette of samurai classes in feudal Japan and practice some basic Kembu, including how to use the Japanese sword. 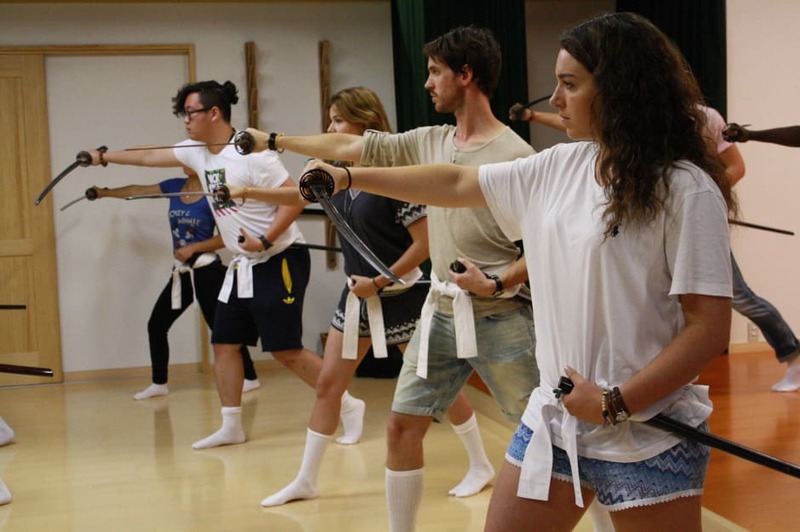 You can choose a 1-hour session for an introduction to the basics, or upgrade for a 2-hour session to learn choreographed movements with a sword and folding fan. Top off your experience of this traditional Japanese art with a photo session in costume, and take home a certificate of achievement. Permainan seni samurai ini sangat artistik, keren dan gagah! Terimakasih untuk Pak Ryuou Arai yang telah mengenalkan dan mengajari tahap demi tahap! Sangat senang dan memang ini patut untuk diikuti selagi di Tokyo. Terimakasih banyak! 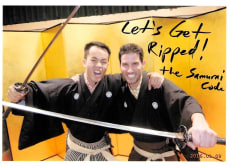 Very educative in the ways of the samurai and highlights of Japanese history and tradition. I had a wonderful experience learning samurai kembu from learning basics stances sword drawing and striking to learning how to use the fan. We had a large group of people from Belgium. The teachers are masters and are highly skilled and offer a very friendly learning experience. So don't worry you will be in good hands and the samurai uniforms are beautiful in design to wear. Must give a go if you are in japan kyoto also you will learn about samurai history. Our family really enjoyed our day as a samurai. It is a high point on our visit to Kyoto. It is a fun, active, and educational experience. Great instructor!